Maintenance of personal hygiene will determine the health status, in which individuals consciously and personal initiative to maintain health and prevent disease. This effort is more profitable for the individual because it is more cost-effective, time and energy in creating prosperity and health. Efforts maintenance of personal hygiene, covering about: cleanliness hair, eyes, ears, teeth, mouth, skin, nails, and cleaning the dress. In this attempt to maintain personal hygiene, family knowledge of the importance of personal hygiene is very necessary. Because knowledge or cognitive, is a very important domain in shaping one's actions. 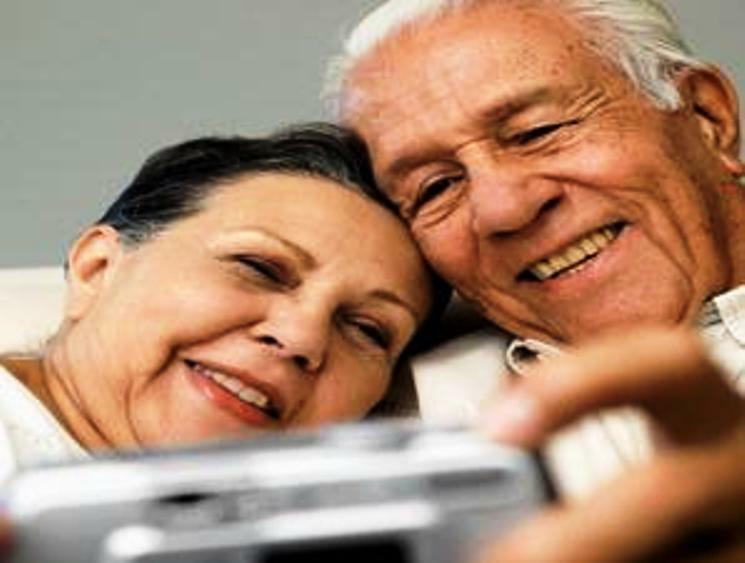 Elderly need to get attention by seeking that they are not too dependent on other people and be able to take care of themselves (self-contained), maintaining personal hygiene, which of course is the duty of the family and the environment. Along with physical setbacks, elderly in need of families to meet personal hygiene. Nurses have a role in providing health education about personal hygiene, ie as family advocacy. Nurses act as a companion for families, for the elderly and their families when faced with a problem, including in terms of personal hygiene, nurses as nurse conselor where nurses can give an ideas or opinions to the elderly and to families as implementing nursing care. Nurses provide care to the educational needs of nurses as health education appropriate to the needs of the elderly. According Purwanto (1999) in Friedman (1998), cognitive domains related to intellectual knowledge (ways of thinking, abstract, analyze, solve problems and others). Which includes knowledge, comprehension, application, analysis, synthesis and evaluation. Individuals with knowledge of the importance of personal hygiene will always maintain personal hygiene to prevent the condition / sickness (Notoatmodjo, 1998). The more elderly person, it will decline, especially in the field of physical ability, which can result in decreased social roles. This has resulted in the disruption ends meet. So as to improve the help of others. (Nugroho, 2000). According to Zainudin (2002) mental deterioration in the elderly could be due to dementia, in which the elderly decline in memory and this can affect the ADL (Activity of Daily Living is a person's ability to look after himself), starting from waking, bathing dressing, and so on. According Geismer and La Sorte (1964) in Friedman (1998), a large family income will affect the ability of families to provide the facilities and the needs required to support life and family survival. Cultural and personal values ​​affect the ability of hygiene care. One of different cultural backgrounds have different self-care practices. Confidence based culture often determines the definition of health and self-care (Potter and Ferry, 2005). Body image is a subjective concept of one's physical appearance. Good personal hygiene will affect the individual's body image enhancement. (Stuart & Sundeen, 1999 in Setiadi 2005). Families strongly influence health behavior as well as any members of the health status of each individual affect how the function of the family unit and the ability to achieve goals. At the time of family satisfaction goals are met through adequate function, family members are likely to feel positive about themselves and their families (Potter and Ferry, 2005). Looks dirty / scruffy and untidy. Hair disheveled, dirty and lots of ticks. Sometimes body with skin diseases (fungal, sores, ulcers, etc.). Bath: the elderly when entering the bathroom should be a strong body by guardians. Oral hygiene: the elderly are not independent, have assisted in cleaning teeth. Wash hair and skin: the skin and hair of the elderly began to dry up. Therefore after bathing necessary smeared with cream skin and hair need to get a hair conditioner. After bathing, hair dried quickly. Nails: when cutting the nails should be careful to avoid injuries in the elderly, especially people with diabetes mellitus more difficult to recover. Clothing: clothing elderly, should be made ​​of soft material, must be kept neat because a lot of elderly people who do not care about the clothes. Colors should be bright but soft clothing, do not wear flashy colors because this is only suitable for young children, do not also selected black, because it gives the impression of sadness. Cut and comb hair to make it look neat. When the object possessed eyes, immediately remove using a soft cloth or tissue, do it carefully. When exposed to the eyes of soapy water, wash immediately using clean water, and to avoid rubbing eyes with hands. When riding a motorcycle, use eye glass / glass protector. Clean nose and ears on a regular basis (1-2 weeks / 1 time) do it carefully using a clean and safe tool. Control to the dentist / health workers routinely. Shower using soap regularly at least 2 times a day (more often if necessary to do the work in place when dirty / sweat a lot. When exposed skin fungus, do bathe as usual. Avoid the use of clothing, towels, blankets, soap, and glove together. Avoid using the clothes damp / wet (with sweat / other reasons). Use anti fungal skin medications (if necessary). Clean hands and feet every day at least 2x/hr or dirty. Use footwear soft, safe, and comfortable. Hydrocephalus also known as "water on the brain," is a buildup of fluid inside the skull that leads to brain swelling. Hydrocephalus is a medical condition in which there is an abnormal accumulation of cerebrospinal fluid (CSF) in the ventricles, or cavities, of the brain. This condition also could be termed a hydrodynamic disorder of CSF. Acute hydrocephalus occurs over days, subacute hydrocephalus occurs over weeks, and chronic hydrocephalus occurs over months or years. characterized by impaired blood flow to the brain. Improved level of consciousness (GCS: E4 M6 V5). Blood pressure within normal limits. a) Maintain bed rest with the head flat and monitor vital signs as indicated after the lumbar puncture. Rationale: Changes in cerebrospinal fluid pressure may be a potential risk of herniation of the brain stem, which requires immediate medical treatment. b) Monitor / record neurological status, such as GCS. Rationale: Assessment of trend changes and the potential of increasing the level of awareness of ICT is very useful in determining the location, distribution / extent and progression of cerebral damage. c) Monitor the frequency / heart rhythm and heart rate. Rationale: Changes in the frequency, dysrhythmias and heart rate may occur, which reflects brain stem trauma in the absence of underlying heart disease. d) Monitor breathing, note the pattern, the respiratory rhythm and respiratory frequency. Rationale: This type of pattern is a sign of heavy breathing from an increase in ICT / cerebral areas affected. e) Elevate the head of the bed about 15-45 degrees as indicated. Keep the patient's head remains in neutral position. Rationale: Increased venous outflow from the head to reduce ICT. f) Monitor the GDA. Provide oxygen therapy as needed. Rationale: The occurrence of acidosis may inhibit the entry of oxygen at the cellular level that aggravate cerebral ischemia. g) Give the medication as indicated. Hodgkin's lymphoma (HL) — There are six types of HL, an uncommon form of lymphoma that involves the Reed–Sternberg cells. Non-Hodgkin lymphoma (NHL) — There are more than 61 types of NHL, some of which are more common than others. Any lymphoma that does not involve Reed-Sternberg cells is classified as non-Hodgkin lymphoma. The diagnosis of malignant lymphoma requires the presence of malignant lymphocytes in a biopsy of lymph node or extra-lymphatic tissue. An excisional lymph node biopsy is essential for complete diagnostic assessment. If a whole lymph node is not obtainable, sufficient incised tissue from an extra-lymphatic site can be diagnostic but is less desirable. Treatment of malignant lymphoma is based on histologic subtype, extent of disease, and age of the patient as is shown in the following table. In the case of discordant (two separate sites of disease with differing types of lymphoma), composite (one site of disease with two discrete types of lymphoma at that site) or transformed (a second lymphoma developing out of a background of previously known lymphoma) lymphoma, treatment must be directed at the most aggressive phase of the disease. 1. Acute Pain related to the injury of biological agents. 2. Hyperthermia related to ineffective thermoregulation secondary to inflammation. 3. Imbalanced Nutrition Less than Body Requirements related to nausea, vomiting. 5. Risk for Ineffective Airway Clearance related to enlarged lymph medinal / airway edema. 1. Assess pain scale with PQRST. R /: to know the pain scale and to facilitate clients in determining interventions. 2. Teach the client relaxation and distraction techniques. R /: relaxation and distraction techniques were taught to the client, can help in reducing the client's perception of the pain he suffered. 3. Collaboration in the delivery of analgesic drugs. R /: analgesics may reduce or eliminate the pain suffered by the client. 1. Observation of the client's body temperature. R /: to monitor the client's body temperature can know the state of the client and also can take the appropriate action. 2. Give a warm compress on the forehead, axilla, abdomen and groin. R /: compress can reduce body temperature. 3. Encourage and provide drinking a lot (in accordance with the needs of the client's body fluids). R /: by drinking lots are expected to help maintain the body's fluid balance in the client. 4. Collaboration in the provision of antipyretics. R: antipyretics can reduce body temperature. Showed an increase in body weight / body weight stable. Clients exhibit behavioral changes in lifestyle to maintain an appropriate body weight. 1. Review the history of nutrition, including food preferences. R /: to identify nutritional deficiencies and interventions. 2. Observation and record food intake. R /: watching caloric intake. 3. Measure weight every day. R /: oversee the effectiveness of weight loss and nutritional intervention. 4. Give eat little but often frequency. R /: increase in total caloric intake and also to prevent gastric distention. 5. Collaboration in the provision of nutritional supplements. R /: increase protein intake and calories. 4. Knowledge Deficit related to lack of exposure to information. Client and the client's family can understand the disease process. Client and the client's family to get clear information about the disease suffered by the client. Client and the client's family to comply with the therapeutic process to be carried out. 1. Provide therapeutic communication to clients and client families. R/ : ease of doing terpiutuk procedures to clients. 2. Provide information about the disease process to the client and the client's family. R/ : the client and the client's family can know the process of the disease suffered by the client. Clients can breathe normally / effective. Clients are free of dyspnea, cyanosis. There is no sign of respiratory distress. 1. Assess respiratory rate, depth, rhythm. R /: changes may indicate the continued engagement / respiratory effects requiring intervention efforts. 2. Place the patient in a comfortable position, usually with a high headboard / or sit up straight to the feet of hanging. R /: to maximize lung expansion, lower respiratory work, and reduce the risk of aspiration. 3. Assist with deep breathing techniques or breathing and lip / diaphragm. Abdomen when indicated. R /: to help improve gas diffusion and expansion of small airway, give the client some control over breathing, helps reduce anxiety. 4. Assess the respiratory response to activity. R /: decrease in cellular oxygenation lowering activity tolerance. Hypopituitarism is a condition in which the pituitary gland does not produce one or more of its hormones or not enough of them. 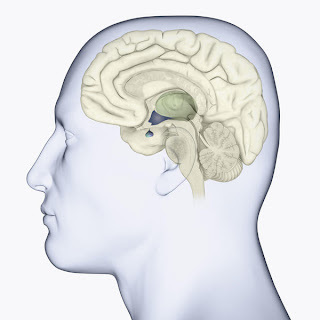 The pituitary gland is located at the base of the brain. This condition may occur because of disease in the pituitary or hypothalamu. When there is low or no production of all the pituitary hormones, the condition is called panhypopituitarism. 1. 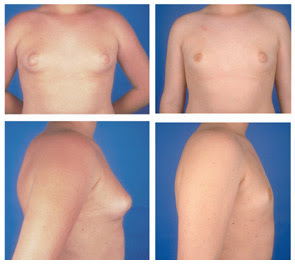 Disturbed Body Image related to changes in the structure and function of the body due to deficiency of gonadotropin and growth hormone deficiency. 1. Encourage clients to express feelings. R /: Clients are able to express feelings. 2. Encourage clients to ask about the issues it faces. R /: Clients are able to know their health problems. 3. Give the client a chance to care for themselves. R /: Make the client can be independent, to meet their needs. 4. Collaboration: the synthetic growth hormones (exogenous). 1. Identification of specific issues related to the client's experience sexual function. R /: Clients understand the problem of the sexual function. 2. Encourage clients to discuss the issue with their partner. R /: Clients can express their feelings on the issue of sexual function. 3. Generate client motivation to follow the treatment program on a regular basis. R /: Clients can keep up with the regular treatment program. 4. Collaboration: the drug bromocriptine. 3. Ineffective individual coping related to the chronicity of the disease condition. 1. Help clients to be able to communicate. R /: To be able to increase client communication. 2. Assist clients in solving their problems. R /: In order for clients to solve their own problems. 3. Teach the client to be able to do relaxation techniques right. R /: In order for the client to perform relaxation. 4. Low self-esteem are related to changes in body appearance. 1. Assist clients in building mutual trust relationship between the client and the nurse. R /: To be able to build client relationships of mutual trust between the client and the nurse. 2. Assist the client in terms of social interaction. R /: In order for the client to interact socially. 3. Help clients to increase self-esteem back by supporting all actions, hopes, and desires of the patient. R /: To be able to discuss the client's feelings. 5. Anxiety related to threat or change in health status. 1. Provide comfort care to the client. R /: To clients have confidence in the others. 2. Assist clients in activities that may reduce emotional tension. R /: In order for the client to respond verbally and non-verbally. 3. Teach termination techniques anxiety. R /: Agarklien can stimulate self-back. 6. Impaired skin integrity related to declining hormonal levels. 1. Teach clients how to perform regular skin care every day. R /: regular skin care can repair skin damage. 2. Encourage clients to use a moisturizing lotion. R /: moisturizing lotion helps keep the skin moist. 3. Encourage clients to not scratch the skin. R /: Scratching the skin can cause skin irritation. 4. Maintain adequate fluid intake for adequate hydration. R /: Fulfillment of adequate hydration.